Born and raised in Meru, Kenya, Dr. Ringera earned her Ph.D. in intercultural communication in 2008 from the University of Denver. She earned a Masters Degree in Media from Natal University, South Africa, as well as a Master of Theological Studies (with a peace and justice emphasis) from the Iliff School of Theology in Colorado. She received her Bachelor of Education degree and Postgraduate Diploma in Mass Communication from the University of Nairobi, Kenya. Dr. Ringera is also a lecturer at the University of Nairobi. Dr. Ringera is a 2016 Cordes Social Entrepreneurs Fellow; a 2015/16 Next Generation Leader Fellow of the McCain Institute for International Leadership, USA; the 2015 Life Achievement Award and 2015 Master Scholar Award winner, University of Denver, USA; and the 2012 African Achievers Award, UK – for her cutting edge work in innovative and sustainable models of development & peacebuilding, women’s human rights and global leadership programs around the world. She has used her extensive academic background and international experience working in many countries to design and implement models of effective community engagement, women’s grassroots organizing programs, collaborative problem solving models, preemptive and post conflict reconciliation, and proactive health campaigns. She has built a successful, working model of “Amani Homes,” community homes of peace for orphans and vulnerable children in Meru, Kenya. 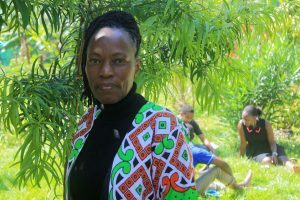 Near the Amani home, she has also built Tirigi (“the place of abundance”), a permaculture center that trains people in the community how to develop and sustain successful food sovereignty projects. Tiriji has become a training center for peace and leadership programs. Karambu is a visionary, an activist, a compassionate, committed, formidable force for change, and an inspiration to all who meet her.